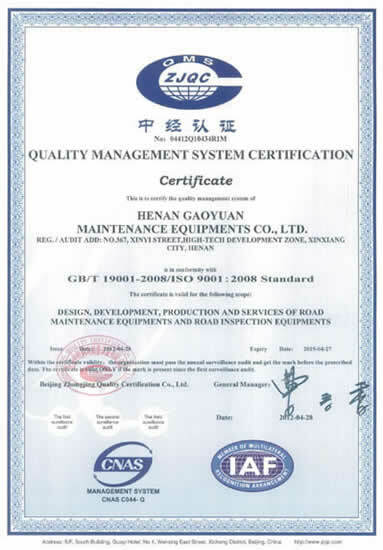 Welcome to Gaoyuan Company, an experienced road maintenance equipment manufacturer in China. 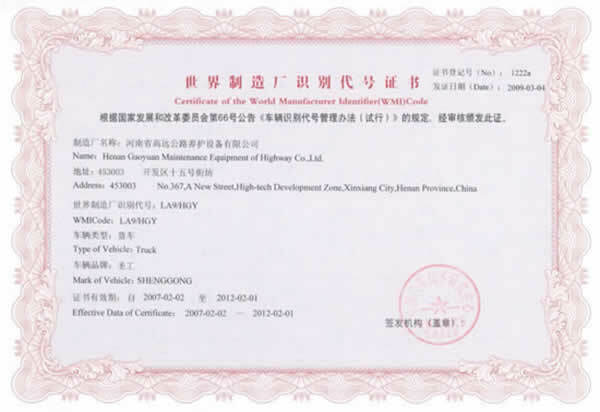 We were the first producer of automatic asphalt rubber distributors and synchronous chip sealers in China. 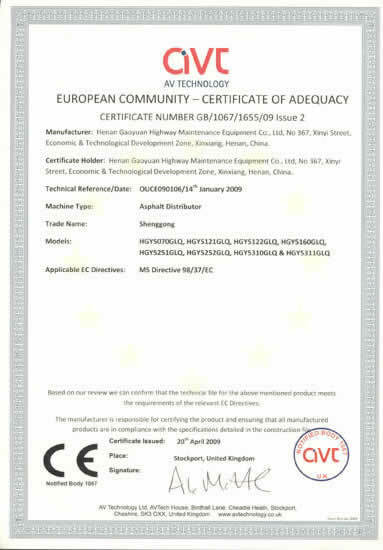 With our team of highly qualified and experienced technicians and designers, in addition to our technical cooperative relationships with universities like Southeast University, we are able to continue to develop new road maintenance machines to our customers all over the globe. 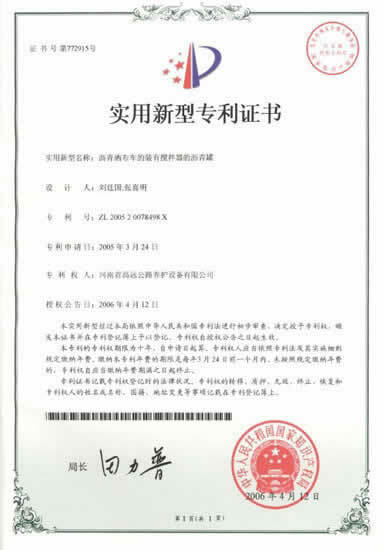 To date, we have received 22 national patents and 66 utility model patents. 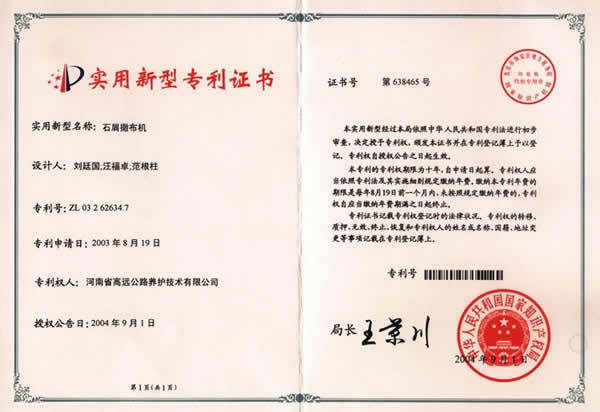 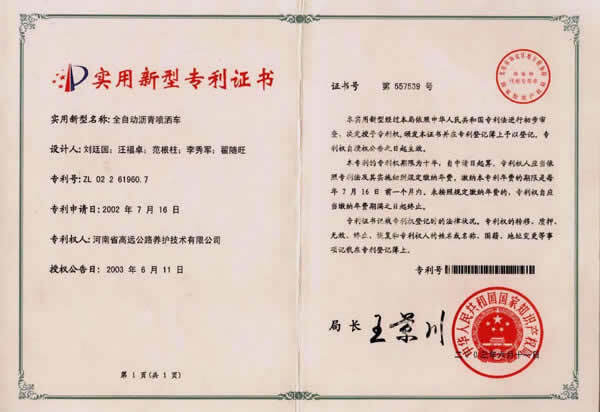 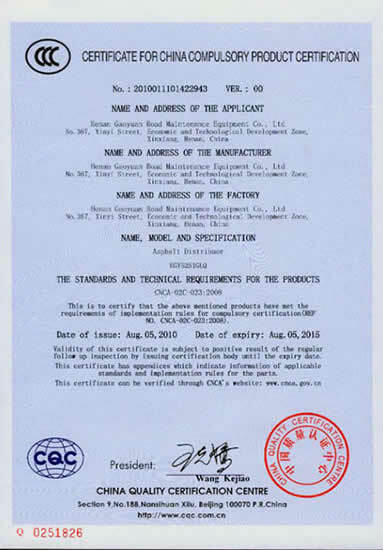 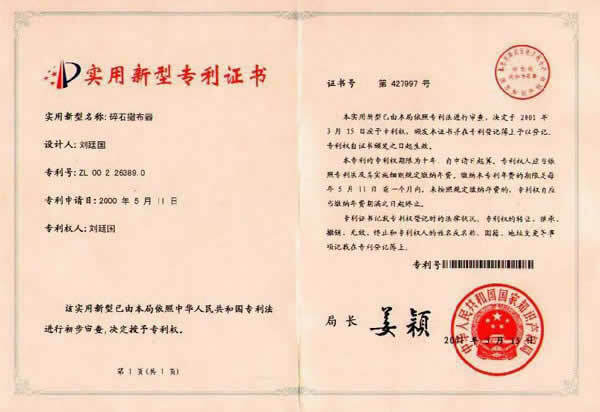 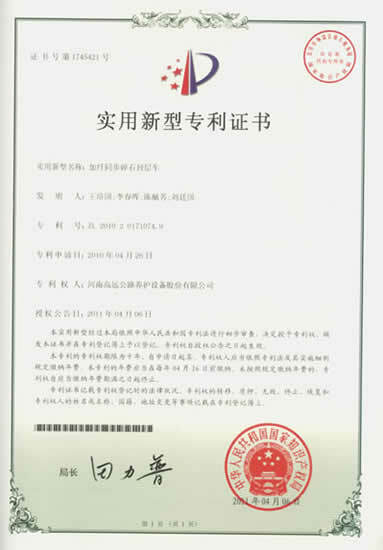 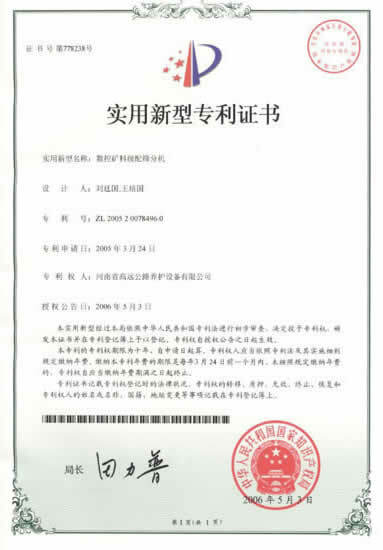 As a result of our consistent focus on quality, our company has received the ISO9001:2000 certificate, and our asphalt repair equipment like asphalt distributor and asphalt emulsion plant have also been awarded the CE and CCC certificates. So please feel secure in your purchase. 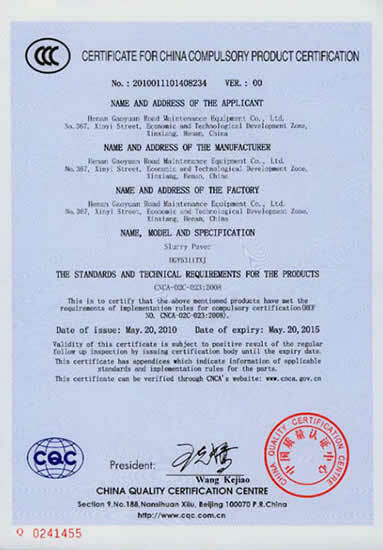 For any inquires, please feel free to contact us. 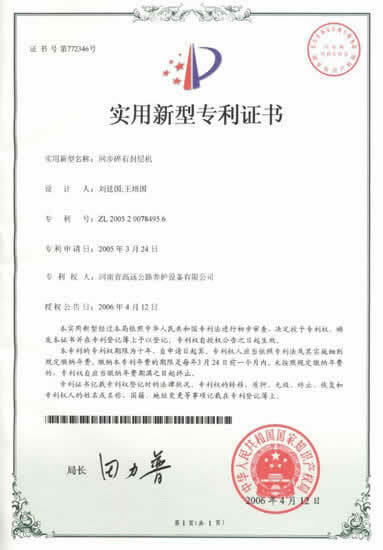 Our staff looks forward to serving you.